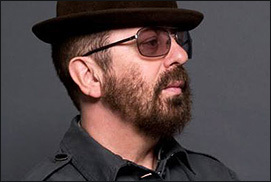 BERLIN, Germany (CelebrityAccess) — Musician, songwriter and former Eurythmic Dave Stewart has struck a wide-ranging publishing deal with BMG that includes his music, as well as book and television content and a string of other projects. •	Creative social network Talenthouse, in which Dave Stewart is the Creative Director and investor, is working with BMG to create new remixes of tracks from the seminal Trojan Records reggae catalogue as well as working on a documentary for this iconic Label. •	Stewart will act as a brand ambassador for BMG, responsible for developing new business, both for BMG and its sister Bertelsmann companies.